Core values of TORUS - Integration Integration between the chains, concentration of energy within the world of coins - Decentralization Decentralization of decision-making process within the chain - Challenge Consistently changing and developing chain - Perpetuity Chain lasting forever through chain integration. The decision-making and transaction structure of TORUS has Multiple parallel chain structure. Based on parallel forms of previous chains with distributed storage of single transaction, parallel structures between the Piconode are connected in a multiple manner that creates consensus algorithm. It is a new concept of node applied to TORUS and refers to the subject of individuals connected in the offline network which can be an individual node in mobile environment. Piconode must possess TORUS Wallet Application while locking the amount of coins specified by the regulations. After that, it can be a node itself and participate in decision-making and transactions. Piconode can be active at desired time period and locations, and be rewarded with Piconode during the above process. Based on numerous Piconodes, TORUS enables offline transactions by QR code or NFC payment. Issuing TORUS QR Code through Offline node will be a great system completing the offline(local) transactions. Among the Piconode possessors, the users who authorized activation of Offline node can issue QR Code, which can be exchanged offline. Planning of establishment “Team TORUS”. Organizing Team TORUS and Preparing to launch “TORUS COIN”. Private sale scheduled for secret organizations. Complete the fund-raising for the Team TORUS. End of sale for foundation. Limited Pre-sales reserved for individuals(Unable: USA, China, Korea). Activating Beta test net (Wallet generation & TORUS coin distribution). Listing on the international exchange & starting of TORUS trading. Opening the exchange of TORUS’s & starting of 1st coin integration. 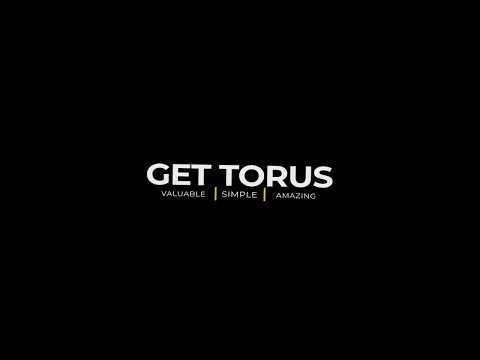 Starting public ICO of TORUS. Starting to operate Main Net. Establishment and activation of TORUS ecosystem.